Be specific. Always tell your worker exactly what you expect. The more exact you are, the happier both you and your worker will tend to be. If you are not specific, they won’t know what you want. This leaves them guessing and wasting time trying to read your mind. The odds of them being successful directly correlate to how specific you are. Give detailed instructions. Make a video, especially if it’s something you intend to outsource over and over again. Write down exactly what you expect. Tell them your exact expectations, including the level of quality you expect and when you want it finished. Make sure they agree to deliver as you specify. And be sure they fully understand by communicating back to you what it is that you want. If they don’t seem to be knowledgeable on the topic and familiar with terms appropriate to the job, think twice before hiring them. Send them a sample. If it’s a video you want made, send them a similar video. If it’s a website, show them websites similar to what you want. Stay in touch. Whether it’s through email or Skype, let them know when you expect updates and how to contact you if they have any questions. If you don’t hear from them, be sure to get in contact with them. You might want to break the project into a series of small deliverables, so you can see what progress is (or isn’t) being made and give the worker feedback. If you’re screening new workers, include a secret word inside your instructions. Tell them to reply with that secret word in the subject line. This way you can quickly tell who took the time to read the instructions or watch your instructional video. Eliminate anyone who did not respond with the secret word. Even if they did know the word and simply didn’t place it in the subject line, they still didn’t follow your instructions. This reminds me of a job application question and answer I read online. When screening new workers, reach out to at least 5 people so you can choose the best one. If you’re hiring someone to do repetitive work such as making review videos, hire 5 people to each make 1 video. Then choose the best worker to continue making videos for you. Someone who excels at one type of work may do poorly at another. Be a little paranoid. Let’s say you’ve got a brilliant idea for a new product. Rather than outsource the entire project, break it up into pieces and outsource it to several people. Have one person create the graphics, one make the sales page, one write the articles, etc. Otherwise you end up with one person having control of everything, and this can be bad for two reasons. First, if they don’t deliver, then you have wasted all that time and accomplished nothing. If one person doing one piece of the puzzle doesn’t deliver, it’s easier and faster to get that one thing done by someone else. Second, if one person has everything, they could duplicate your product. They might still deliver the package to you, but they could also place it on their own website and start selling it themselves. And if they do that first, they will appear to be the true owner, not you. I hope these cautionary words haven’t turned you off from outsourcing. There are literally thousands of marketers who can tell you from experience that their business only really took off once they started outsourcing. It’s the magic that will multiply your skills by a hundred fold and make it possible for you to accomplish far, far more than you ever could all by yourself. I’m currently reaching tipping point where I need to source other writers to help me out. There is some really great advice here that has got me thinking. I love the “secret word” tip – I’m definitely using that one. Thanks for the brain food. 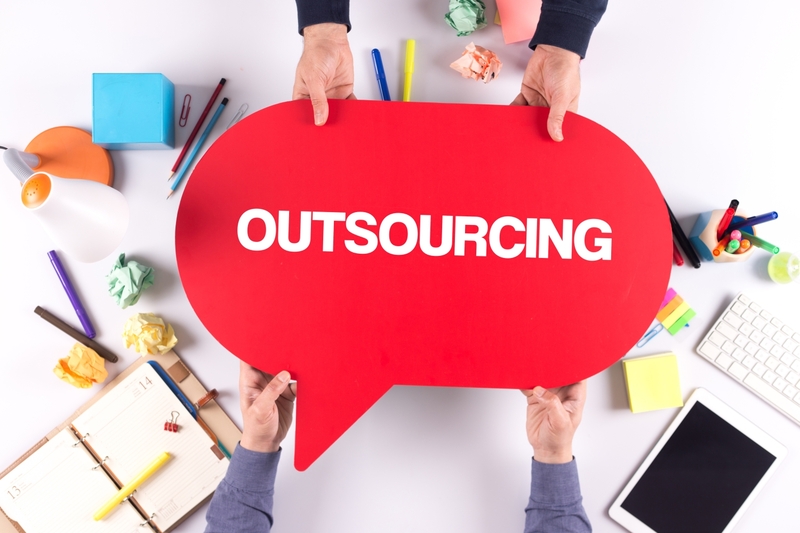 Outsourcing is a Best option when you don’t have to deal with lack of time and some expertise. We are one of the Outsourcing here in India, there are lot of projects we work with them, proved to be best option for them, as it ultimately save them time and money.